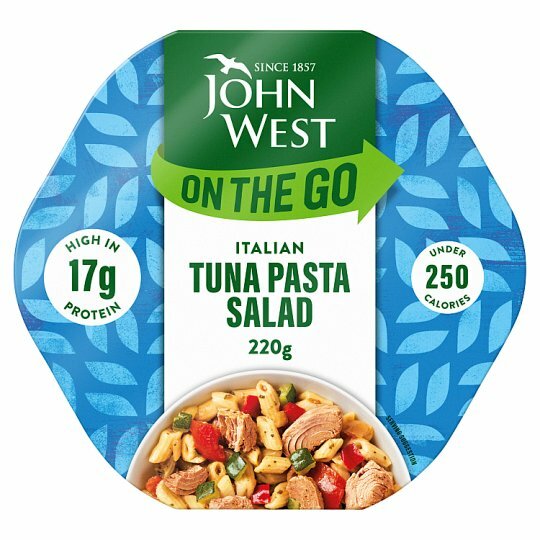 Tuna with Mini Penne Pasta, Tomatoes, Courgettes, Red Peppers, in a Dressing with a Hint of Basil and Extra Virgin Olive Oil (1.3%). Store at room temperature in a cool, dry place and out of direct sunlight. After opening, any unused product should be covered, refrigerated and consumed within 24 hours. Remove foil lid and eat directly from the dish.